Digital prints have greater resolution than traditional lithographic prints and offer a wider color range than serigraphy. Somerset Photo Enhanced papers are suitable for most desktop printers, delivering museum-quality reproduction and archival quality. 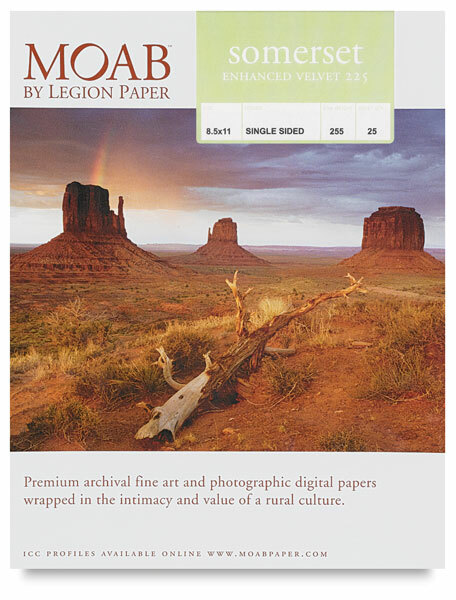 The answer for artists who demand crisp "photo quality" reproduction without sacrificing the luxurious feel of fine art paper. This radiant white paper, combined with high-quality ink, yields exceptional depth, and rich, vivid colors that grab the eye. 225 gsm.